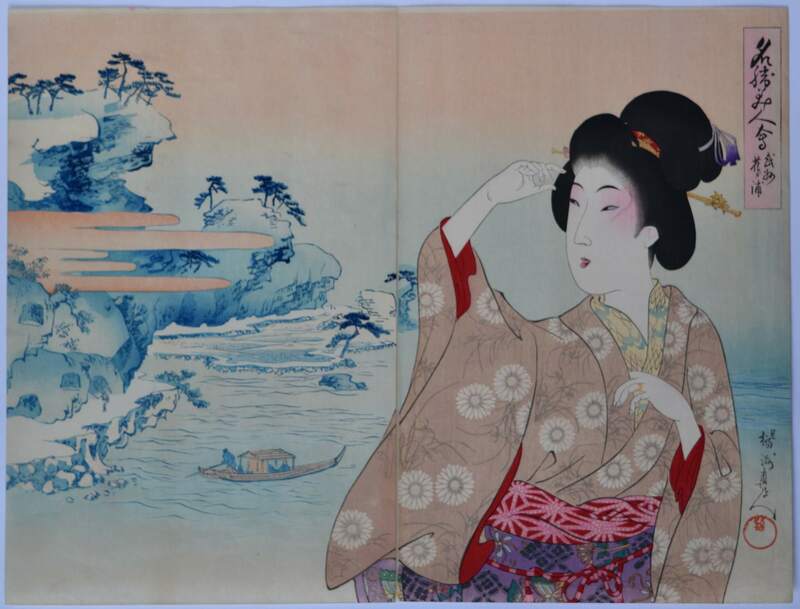 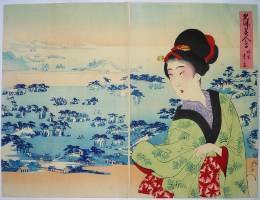 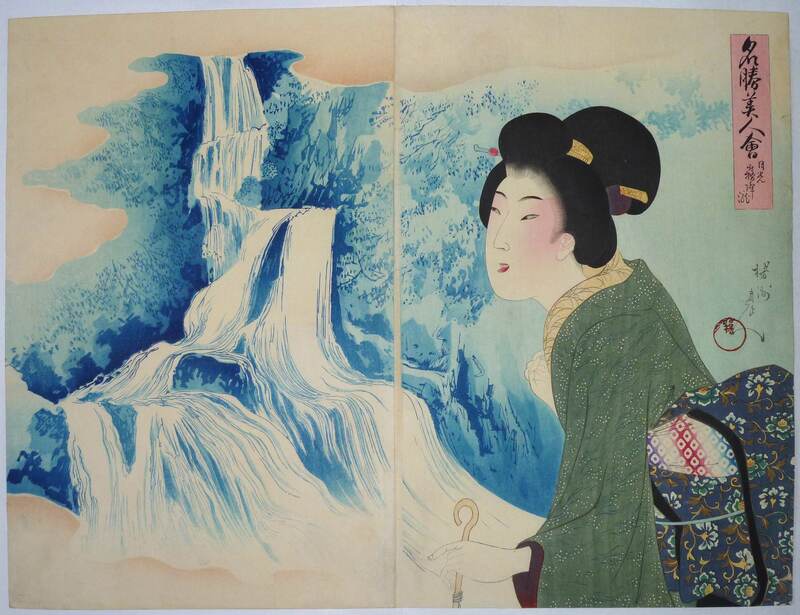 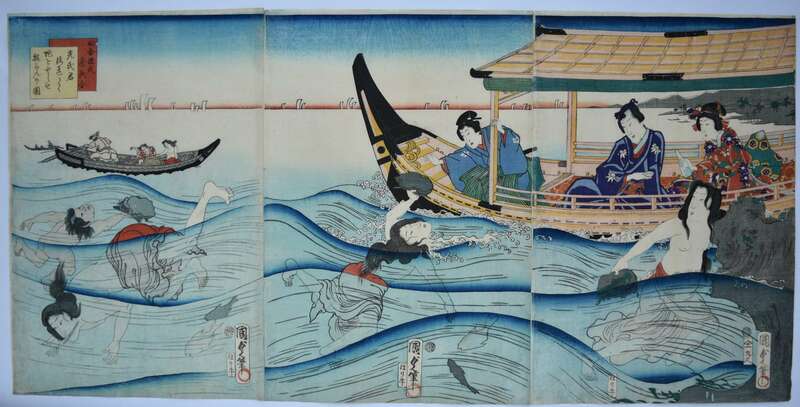 A fine set of diptychs showing beauties compared to scenic places in Japan. 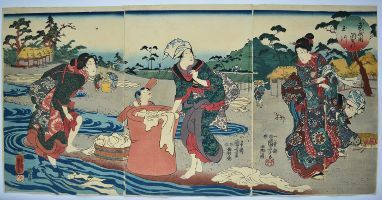 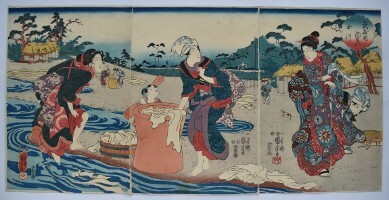 Meisho bijin awase, “Comparison of Famous Places and True Beauties.” In this instance showing Shinobazu Pond in Ueno Park. 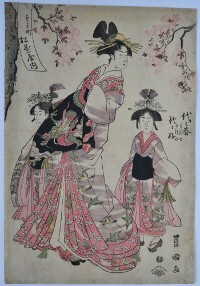 The unusual backgrounds are printed in blue with touches of pink. 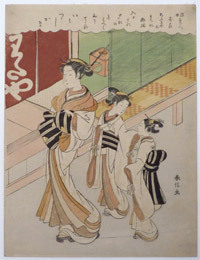 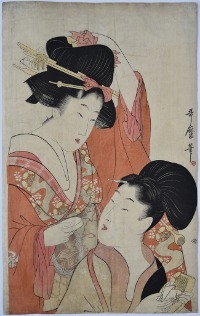 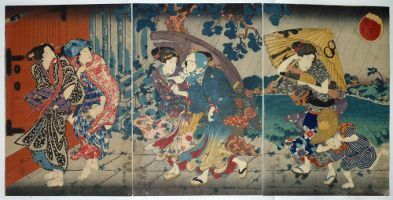 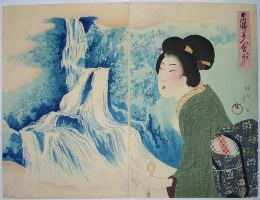 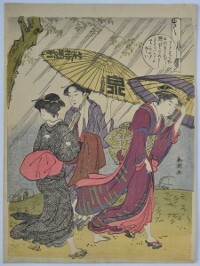 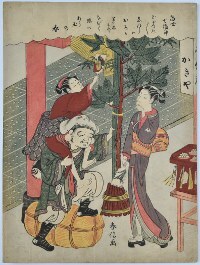 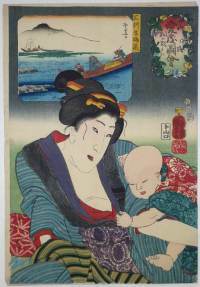 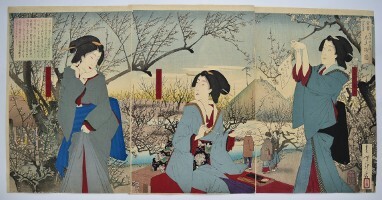 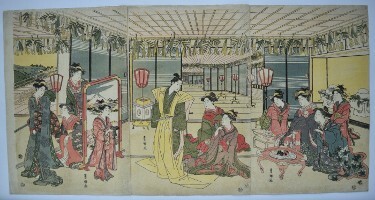 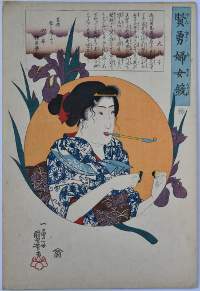 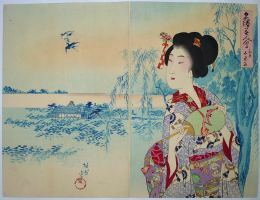 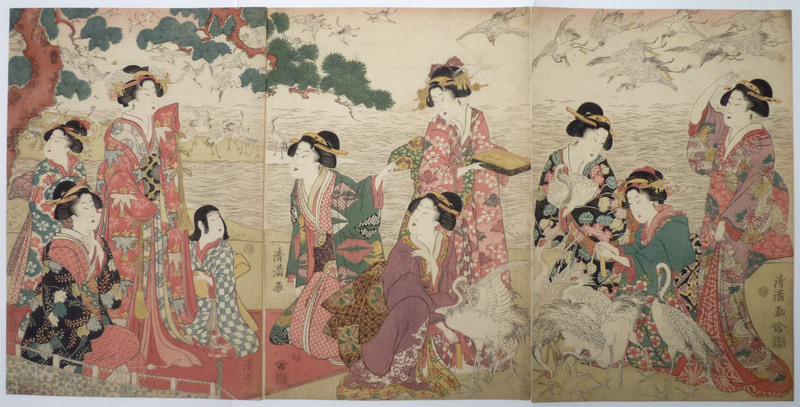 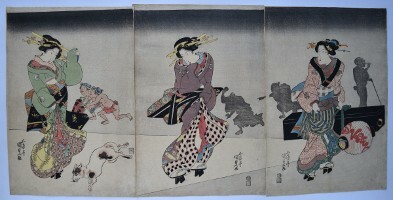 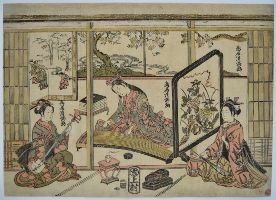 The set published by Matsuki Heikichi, 1897-8. 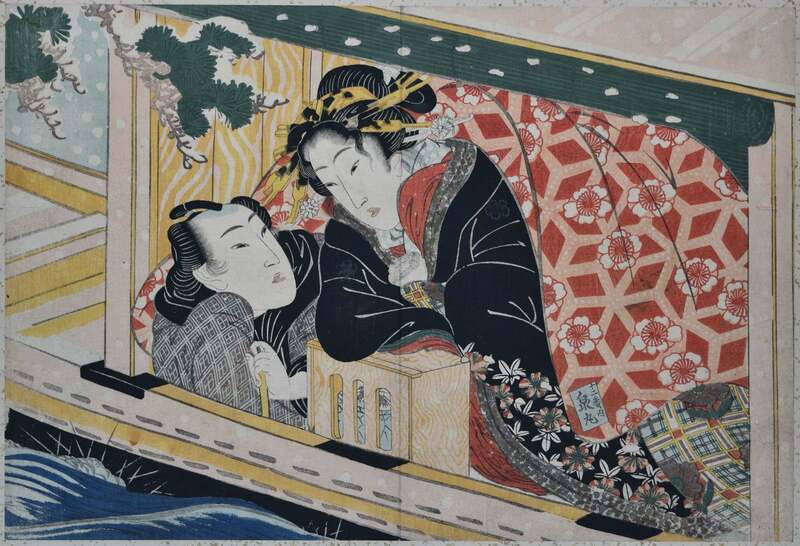 A winter scene with an amorous couple in a boat keeping warm beneath a huge duvet. 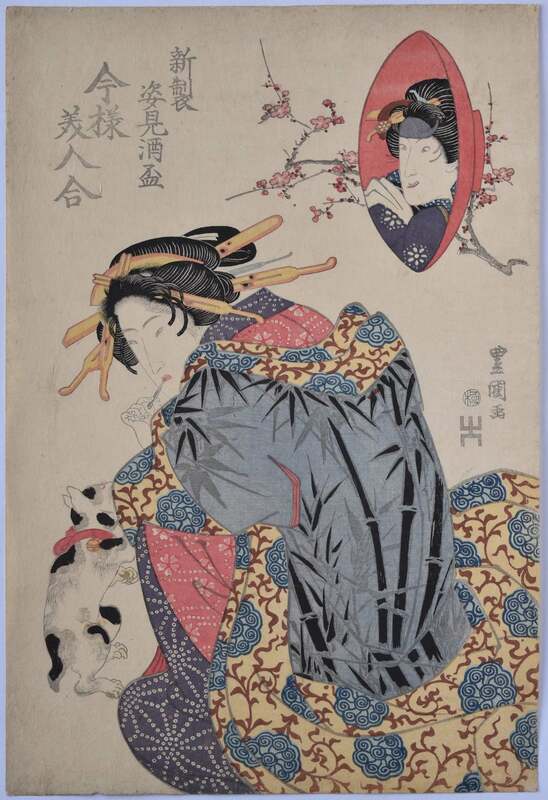 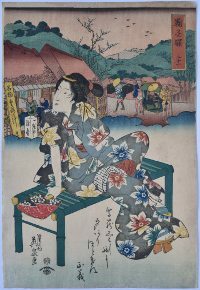 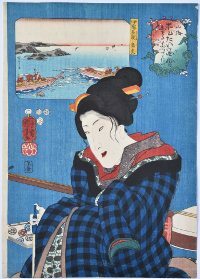 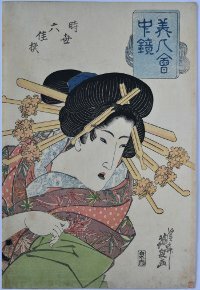 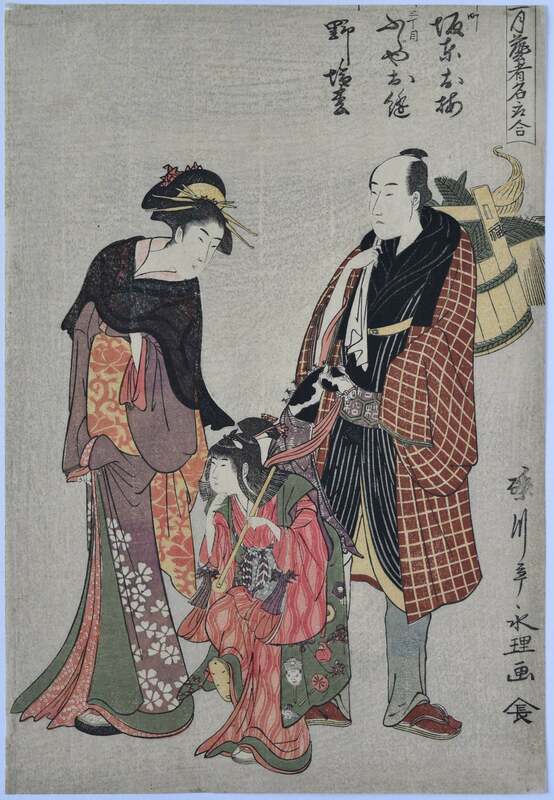 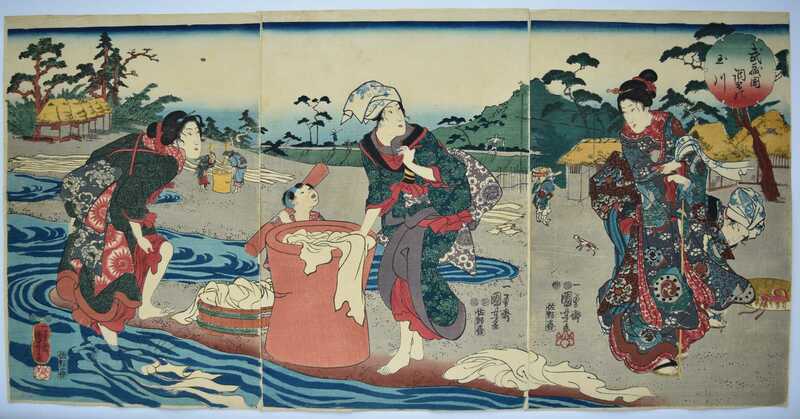 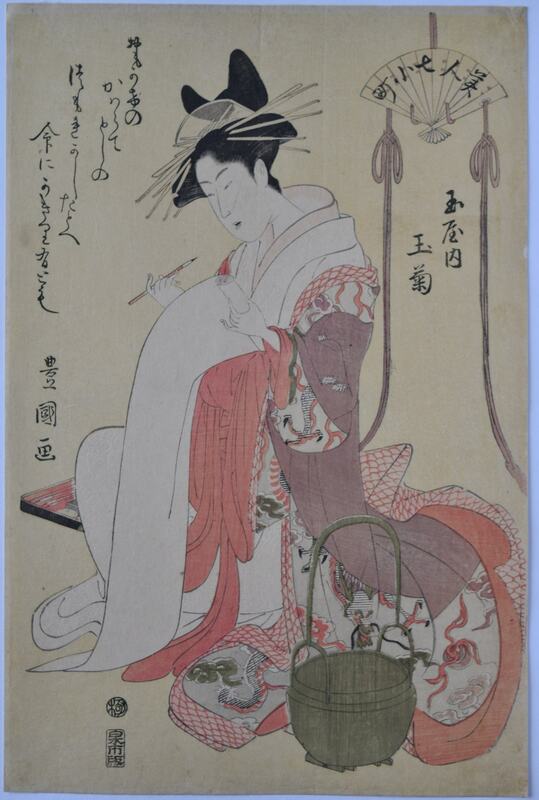 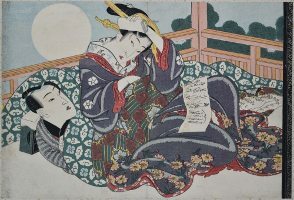 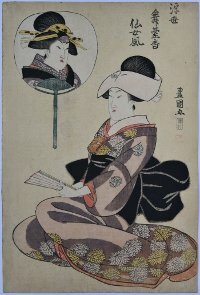 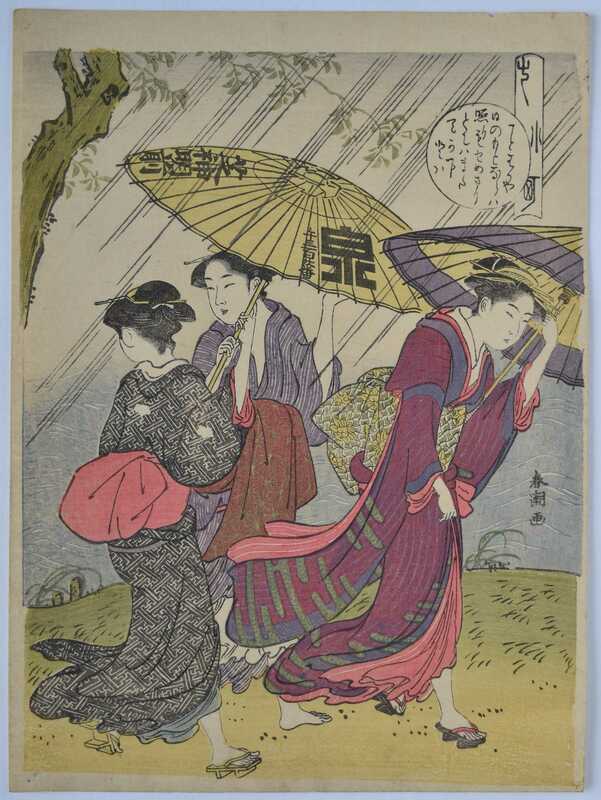 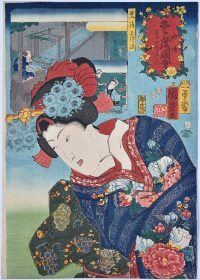 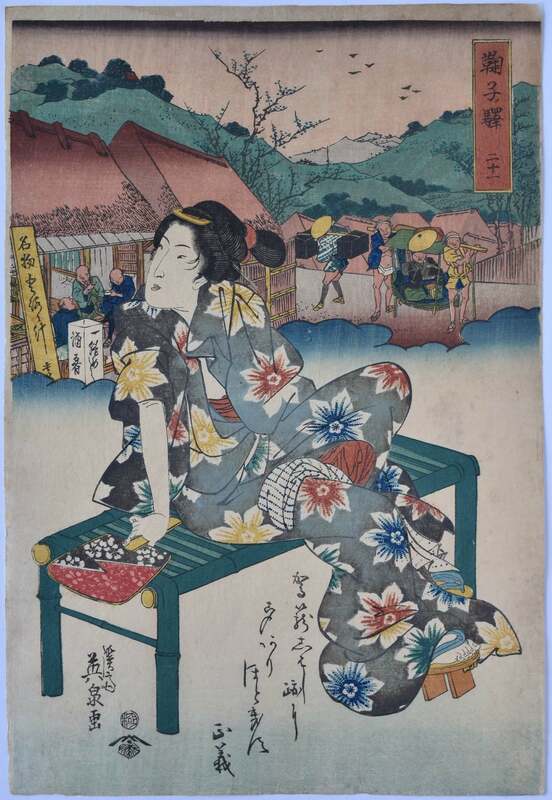 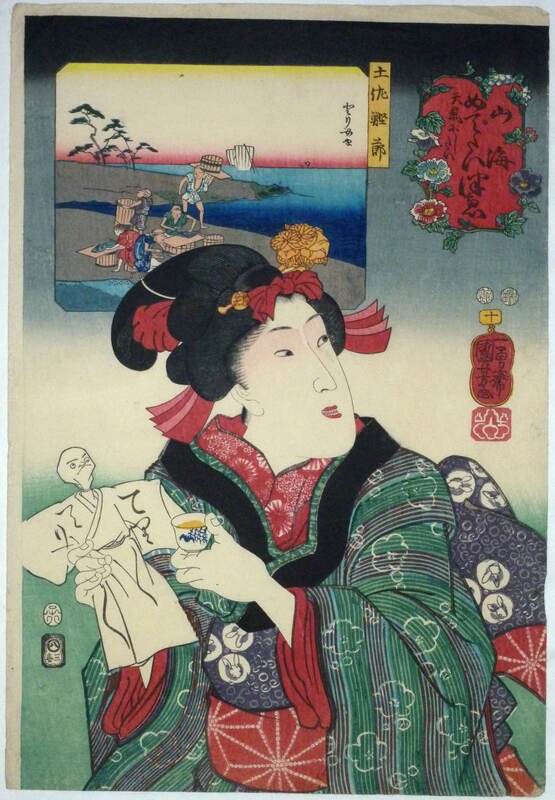 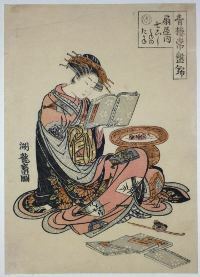 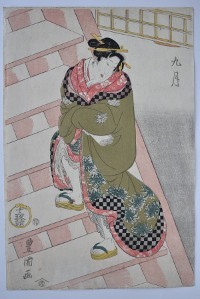 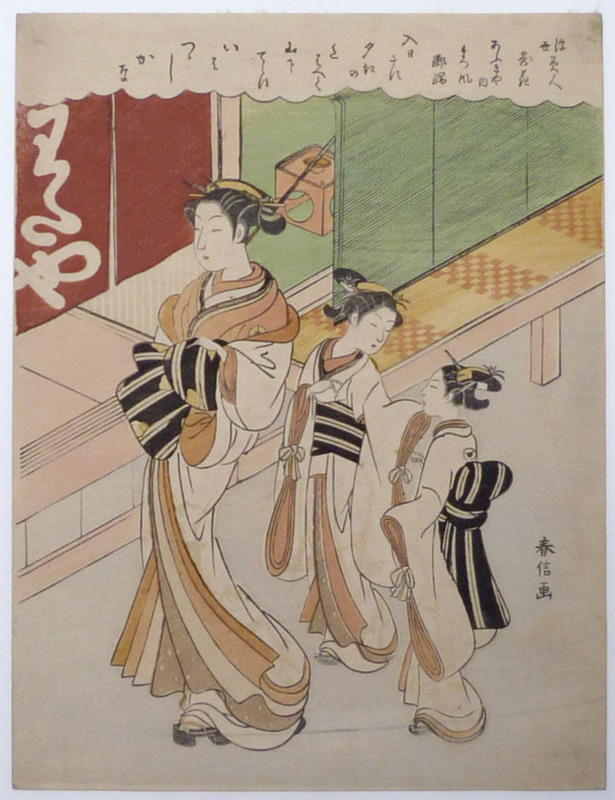 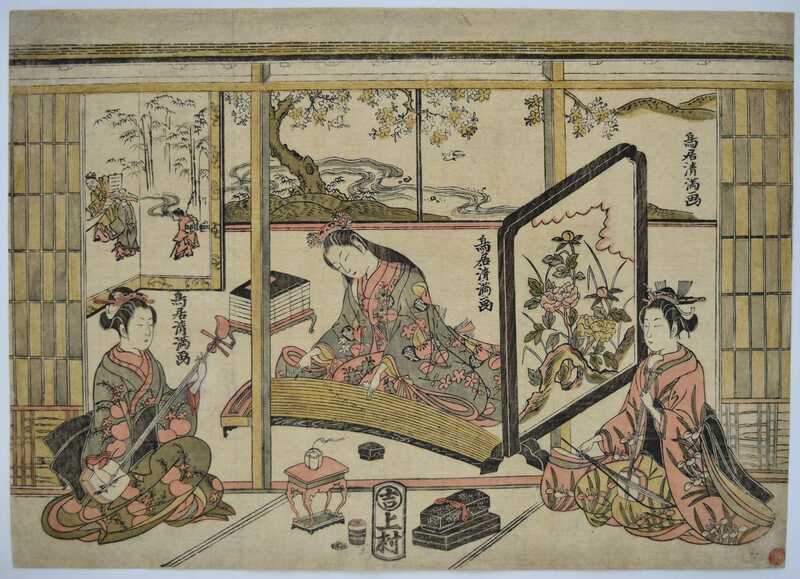 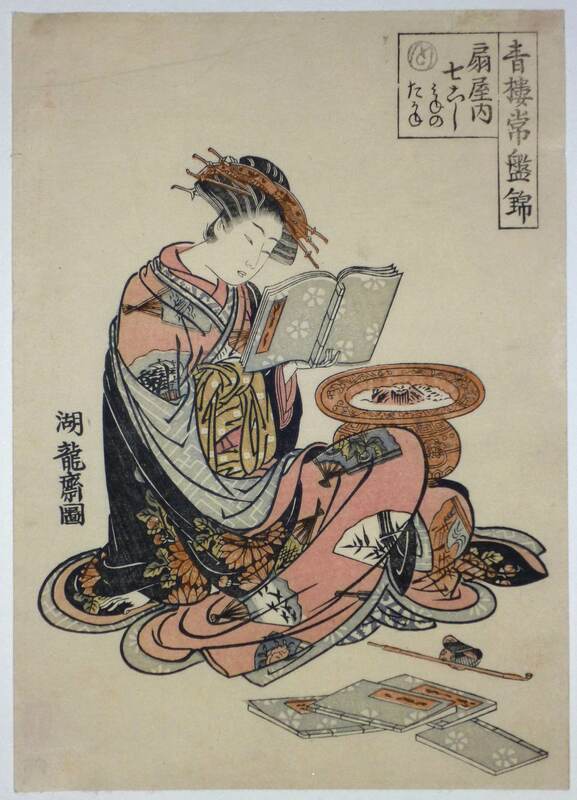 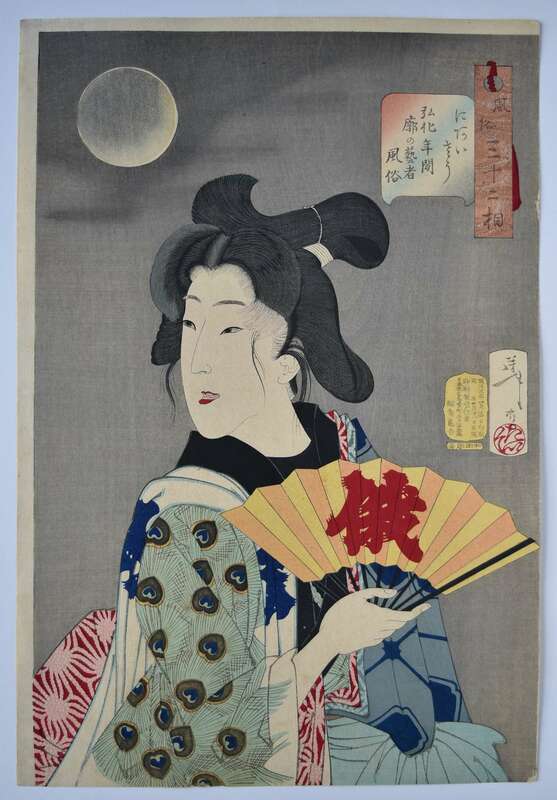 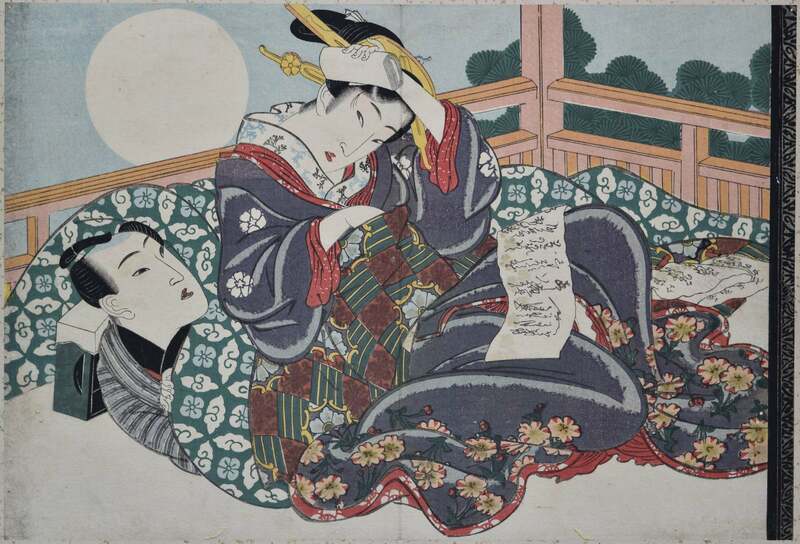 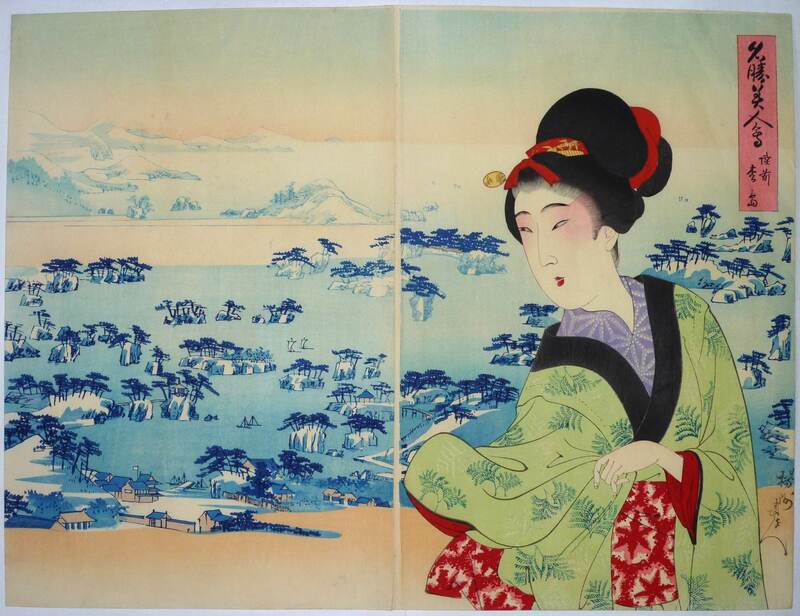 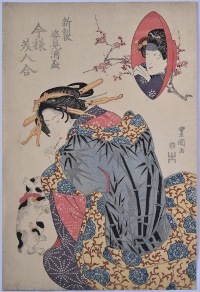 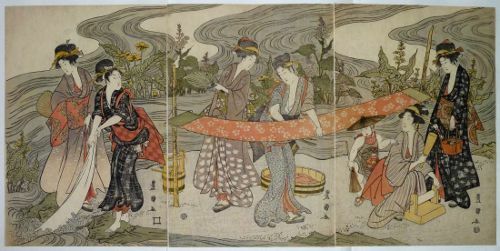 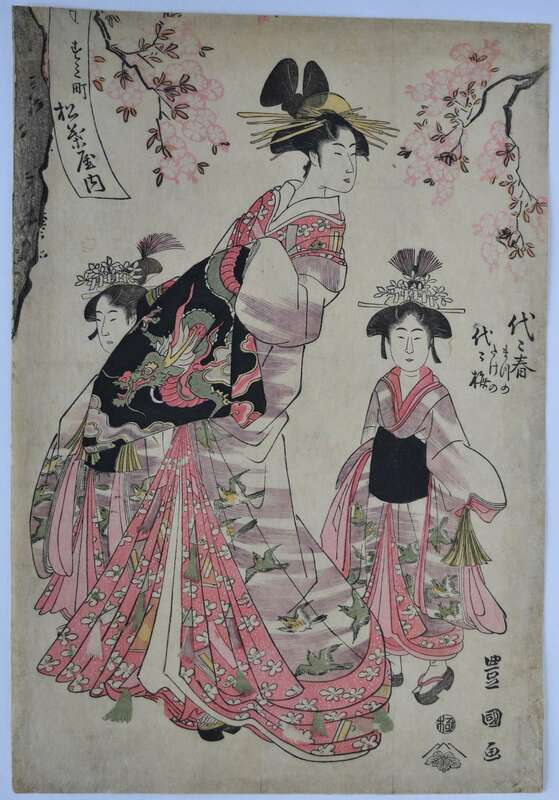 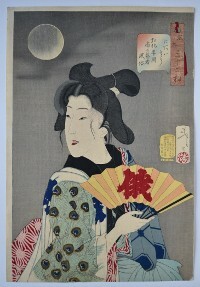 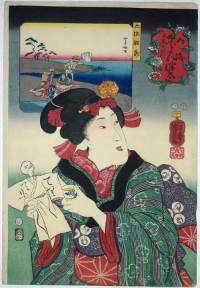 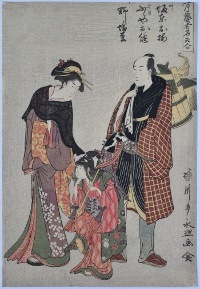 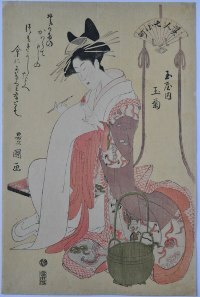 One of the three best designs from a set of twelve prints: Keisei higo, “Secret Words of a Courtesan” published c 1822-25. Although the set comes under the shunga heading, each print is an abuna-e design, without any graphic detail.